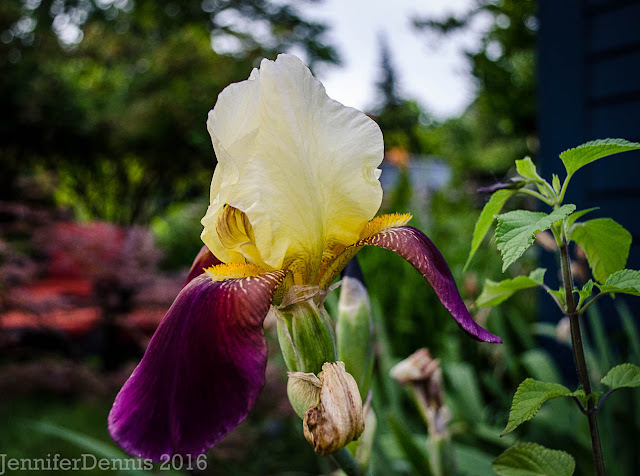 The blooms between May and June are quiet in my gardens. However, it's probably the busiest time of year in my gardens as far as physical labor goes. 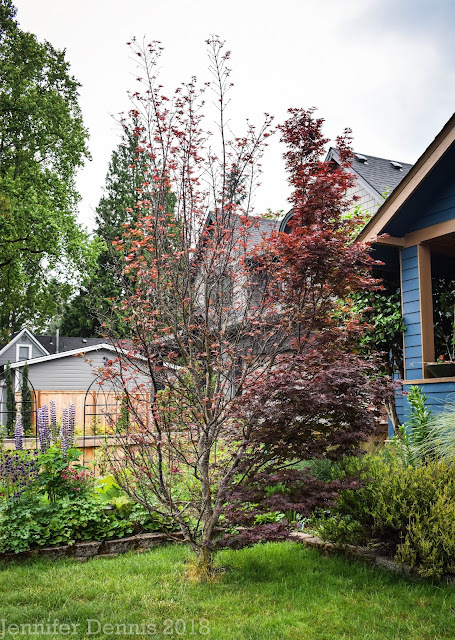 Cleaning out the spring blooms and old foliage in the flower beds and then, getting the veggie gardens cleaned out and planted with summer crops. I complete all of this work only to turn around again and feel as if I have weeds knee high....again. But, back to the blooms. I planted a wild flower mix in a few of my raised vegetable beds. I really can't manage 8 raised beds while I work full time, so I've converted half of the boxes to blooms. The wildflowers have been a source of wonder. I love to see what will come up and they attract all the bee's and butterflies. I can literally waste away an hour or more just sitting under my maple tree watching all of the activity surrounding my wildflower boxes. In the perennial beds, one of my all time favorite spring blooms is that of astrantia major. Delicate, long lived, sturdy blooms. Love them. 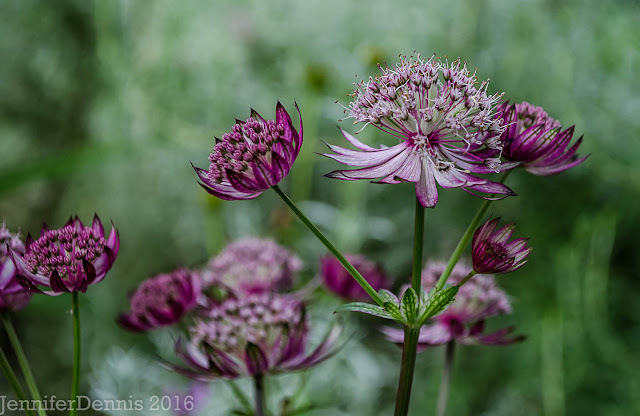 Astrantia blooms dry really well. I think I need more. My sambucus nigra 'Black Lace' is finally blooming. I've had the darn thing potted up, cramped and waiting for a home for two years. Then, in a moment of brilliance, I found a place for it last fall. 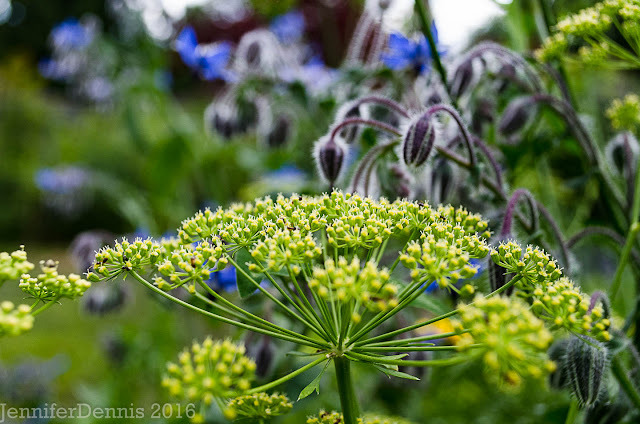 It has rewarded me with large, delicate blooms that really do look like lace. I am using it as a privacy screen so I am willing it to grow, grow, grow! The ninebarks have been pretty this spring. The past two springs were so dry that I hardly had any blooms on my different ninebarks. 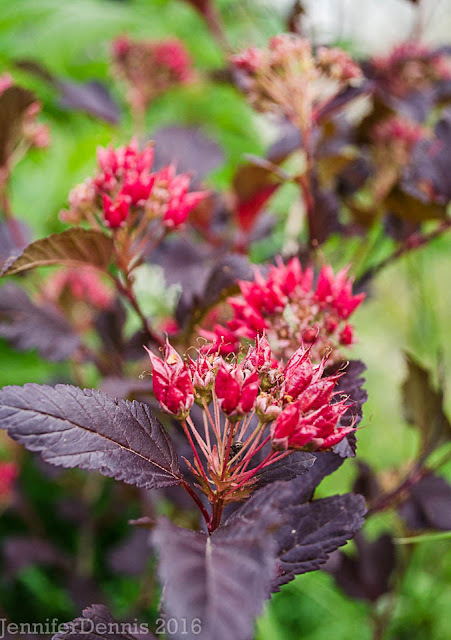 This year, the weather has been a nice blend of warmth and rain, thus I have pretty blooms atop the brilliant foliage. 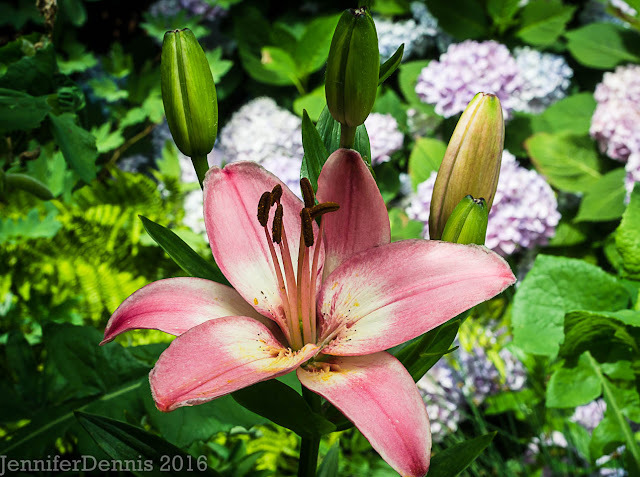 In June, the lilies bloom. I look forward to the asiatic lilies every year. They are just so brazen. The weather has turned cool again in mid-June. We haven't had a wet June in quite some time. It's welcome. 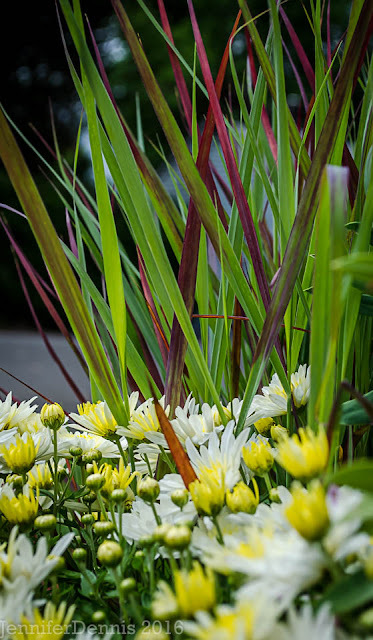 Late spring is a beautiful time in the garden. Join Carol at May Dreams Gardens to see what is blooming around the world on the 15th of every month. I always think of June as a difficult, transitional month but you seem to have it figured out. I think it's a difficult, transitional month too. I was thinking about and it's one for my least favorite, except now, I do love those raised boxes with wildflowers. Looking good! And it was genius to plant a wildflower mix in your veggie beds, pure genius. I'm nearly tempted to turn the whole veg garden into wild flowers. 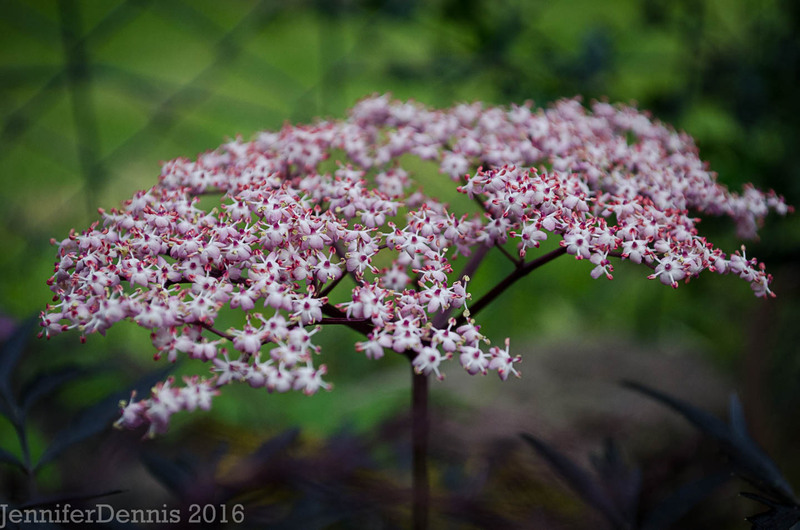 Once out of its pot the sambucus will definitely grow quickly. We have twolarge at the allotment and my sister as a huge one in her garden. We have another smaller one fairly recently planted in the garden. They all (and others that I have given away to friends), came from cuttings from the original one. They are easily grown from cuttings and the pink flowers make very attractive elderflower cordial. Hi Sue, that is a great point about the cuttings. I have several other area's that could use privacy. It would be great if I could make a go of the cuttings. It would be quite economical. That Dianthus at the top of your post is beautiful! I love my Sambucus flowers too. Happy GBBD! 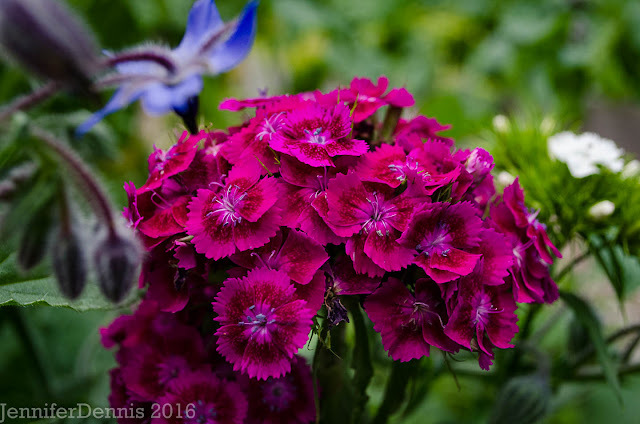 I also love the Sweet Williams at the beginning of your post. What a wonderful picture! Your flowers are so beautiful! I also put a wildflower mix into the middle of my vegetable garden this year. It's struggling a bit, but I'm hoping it will start to grow really well once our weather warms up again. After a very warm spell, we went back to cool and drizzly. Lovely photos, as always, Jeni! Be careful what you wish for, regarding the Elderberry. I'm guessing mine is around 18-20' tall - it is MONSTROUS! It is a good privacy screen, though, and it takes well to some occasional shaping. I appreciate that! 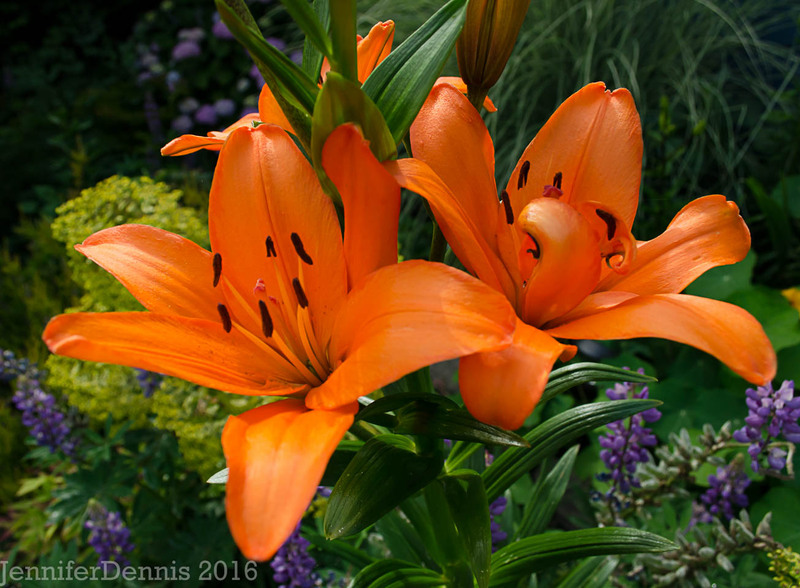 I love the Asiatic lilies too. "Brazen" describes them well! 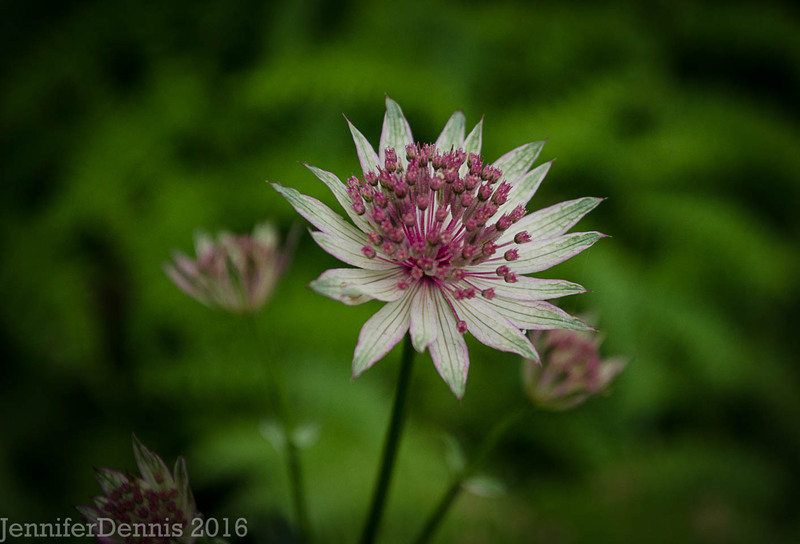 My first Astrantia is still a baby in a pot, and will hopefully find a permanent place this year. Love the blooms. I have always wanted and elderberry. I am glad you are enjoying a good gardening season.